Wheels were stolen from a car parked in Burton Latimer. 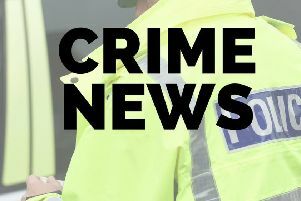 Offenders broke into the car, parked at Prescott Motor Company, Kettering Road, and searched it before stealing all four alloy wheels and tyres, leaving the car on bricks. The incident took place between 6pm on Monday (October 2) and 9.30am on Tuesday (October 3). Officers would like to speak to anyone who may have witnessed this incident or who may have any information regarding it.